Save $10 when you buy the 4-pattern set. 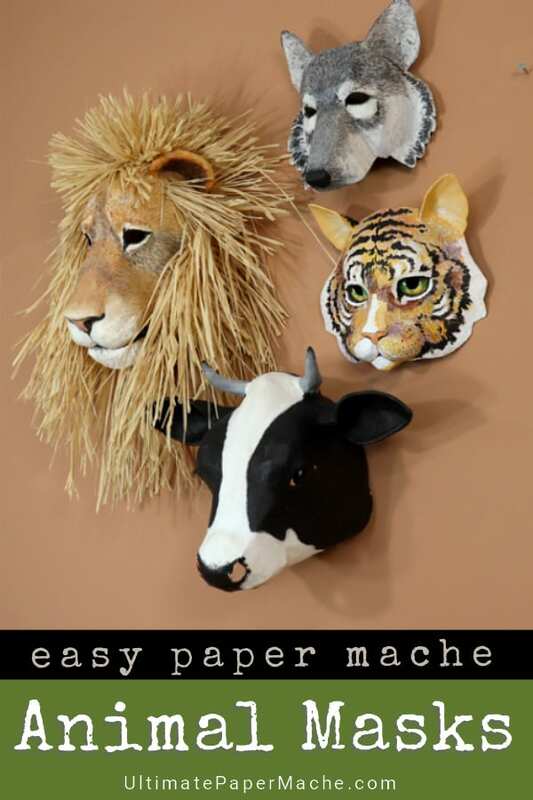 These realistic animal masks are fun to make with cardboard, paper mache and paint. 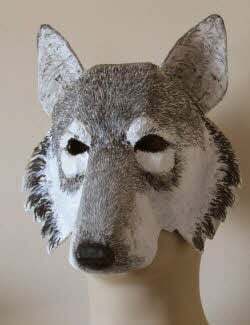 All instructions are included in the four downloadable PDF patterns. 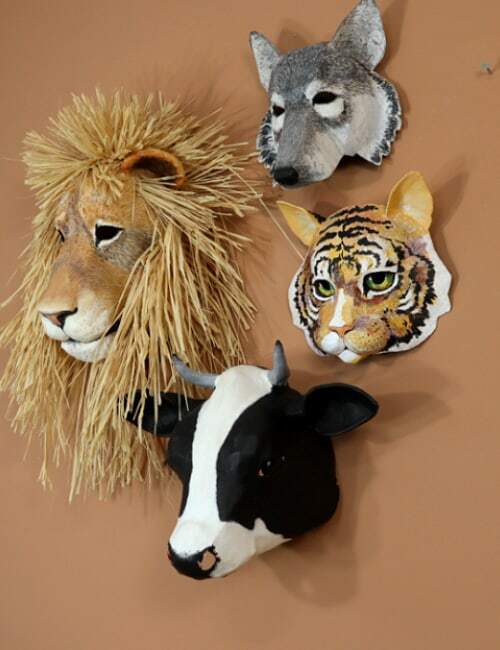 Wear them to a party, or use them as wall art, like I do. 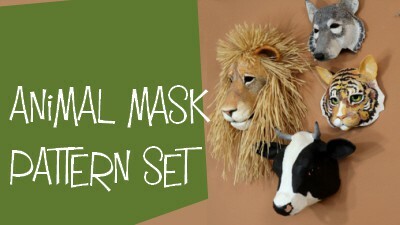 Included in the set are four downloadable pattern files: Wolf Mask, Lion Mask, Cow Mask, and Cat Mask. You’ll be able to download your pattern right after you order. You’ll also receive an email with the download link, and a separate receipt. The emails may take a few minutes to arrive. If you don’t see them, be sure to check your spam or promotions folder. Be sure to download your pattern directly to your computer or device, so you can access it again later. 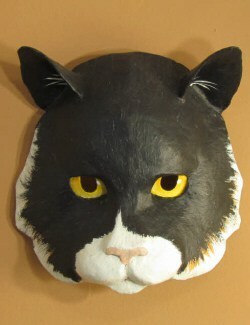 Yes, you can sculpt these realistic animal masks, even if you’ve never sculpted anything before. 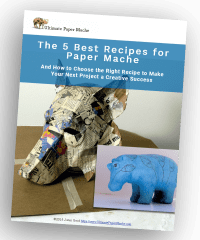 Just print the patterns on card stock, cut them out, and tape them together, following the detailed instructions that come with each pattern. The patterns create all the shapes for you. 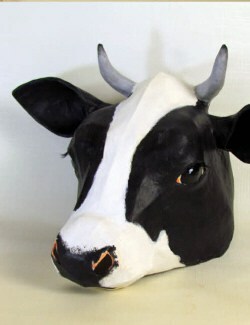 Just cover them with paper mache or paper mache clay, and paint. 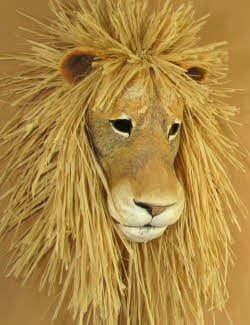 Do you have a question or need help with your pattern? The fastest way to get an answer is to leave a comment on this page. I read all comments and answer them as soon as I can, usually within a few hours. Some of my readers might also chime in to help – we have a very supportive community here on this site. If you prefer to reach me privately, you can send me an email. I’ll try to respond as quickly as I can, but if you don’t hear back from me within 24 hours, assume the cyberspace gremlins ate your email and try again.